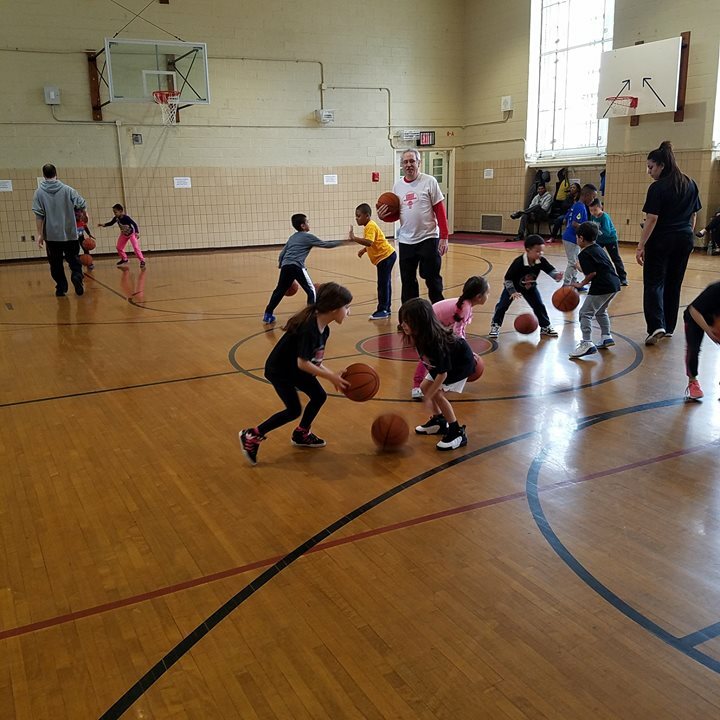 Eyes Off The Ball…Coach Joe is teaching our students to dribble with one hand and high-five their team mates with the other. Why? To be a good ball handler, one must be able to dribble and know what’s going on around them. If their eyes are on the ball, they won’t get a sense of the other players on the court.